been easier with our exclusive online offer! Our children’s program teaches character development through the study of martial arts. Our unique curriculum combines the styles of Karate, Tae Kwon Do, Krav Maga, and Kickboxing. 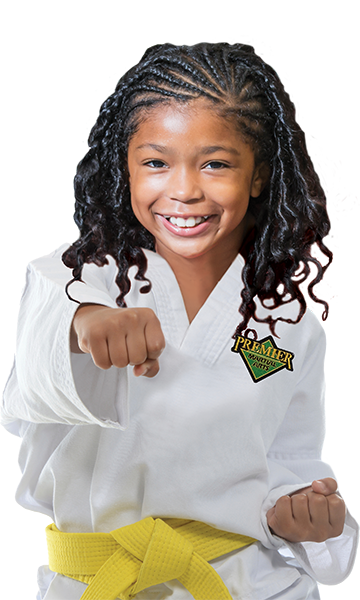 Self-defense, fitness and character development is our goal to better empower your child to be the best they can be! 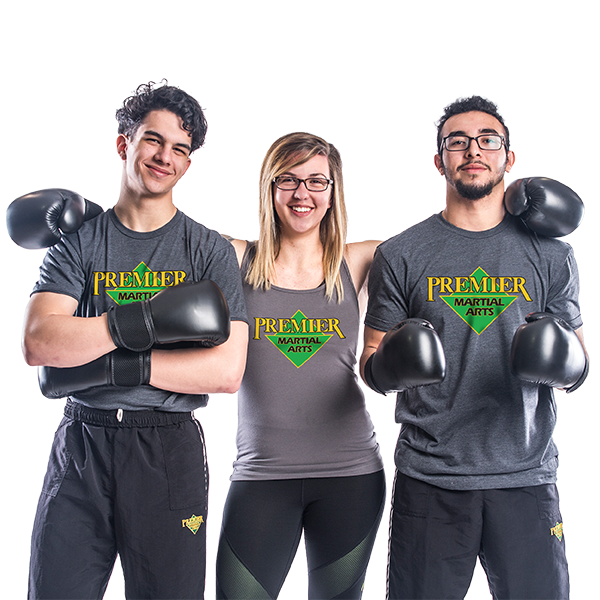 Premier Martial Arts combines the highly effective self-defense arts of Krav Maga, Jiu-Jitsu and Kickboxing. The same systems as the Israeli Army uses for their Self-Defense, Fitness and Fighting. The training in our Krav Maga classes will burn body fat, increase your level of conditioning, and our kickboxing will give you a total body workout! Children will have a blast at our Karate Birthday Parties! They will play martial arts games, take a karate lesson. The birthday child will be a Black Belt for the day, break a real board in front of their friends and cut their cake with a real samurai sword! This will be the most fun birthday party your child has ever had! Every parent wants their children to be leaders and never followers. Parents want their children to be capable of striving for and attaining their goals and realizing their dreams. Premier Martial Arts is a great way to develop these qualities early, giving your child a head start in life! Do you want your child to get off the couch and realize how much better life can be with an active lifestyle? With martial arts training of Karate, Tae Kwon Do, Kickboxing and Krav Maga, Premier Martial Arts is one of the best ways to get in shape, develop coordination skills and build strength - all while having fun! Premier Martial Arts is rated 4.9 out of 5 based on 2081 reviews from around the Web. Absolutely wonderful place for the entire family to get involved. So many choices got things to do. Great environment for beginners and experienced individuals. Very informative and very enjoyable. The sensei are great with kids and have an incredable amount of patiences. The instructors are the best! They take there time and have awesome patience with the kids.. Would highly recommend Premier Martial Arts!! Both of my boys have been going here for about 6 months and are loving it. Great School even better staff! I love this place!!! We have been there a little over a year and I have seen such tremendous growth in my child. Definitely a Family!!! Krav Maga is the core style of martial arts taught at all Premier Martial Arts studios in the US, Canada and the UK. Krav Maga instructors at Premier Martial Arts studios are dedicated to teaching this reality-based self-defense, along with Kickboxing, and Kali, making our adult curriculum perfect for real world self-defense.